Not quite sure I could handle Rob being on the same plane as me. I'd probably stare like a fool! But it looks like Good Time shooting has wrapped and Rob is on his way home for Easter. It's looking like the perm could be gone. 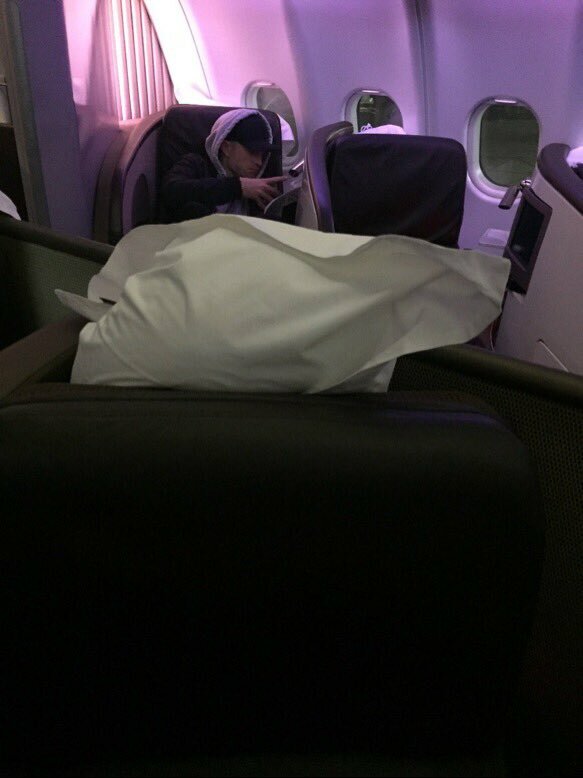 "When your sis sees incognito Robert Pattinson on the plane...#sojealous"